Hops Alchemy: Flat Tire is carbonating. I bottled the Flat Tire Ale this past weekend. 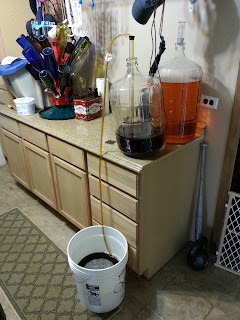 After racking from secondary back in to the fermenting bucket everything went rather smoothly. 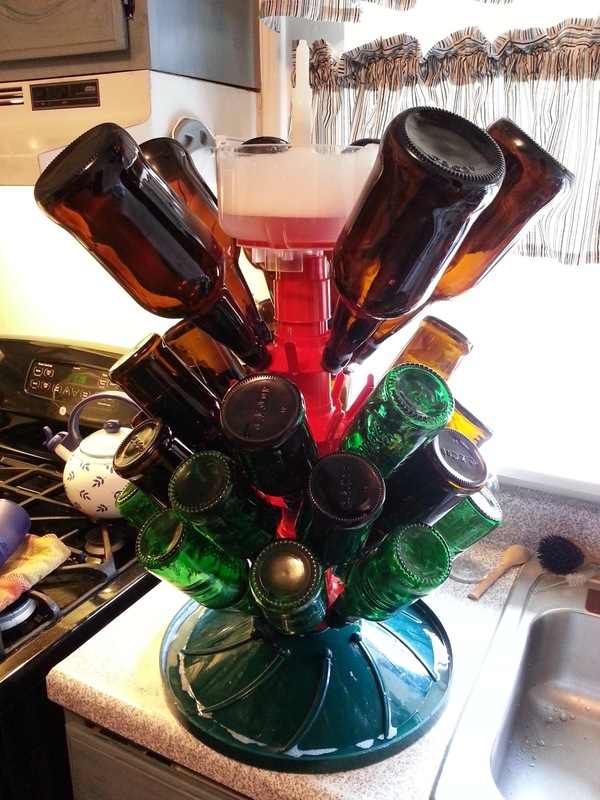 I have to say that the bottle rinser and drying tree are worth their weight in gold. My total yield was 8-32oz bottles and 21-16oz bottles, from a little over 4.5 gallons. I am a big fan of the swing top bottles even though they cost a lot more. I have been trying to get Grolsch bottles when I can. 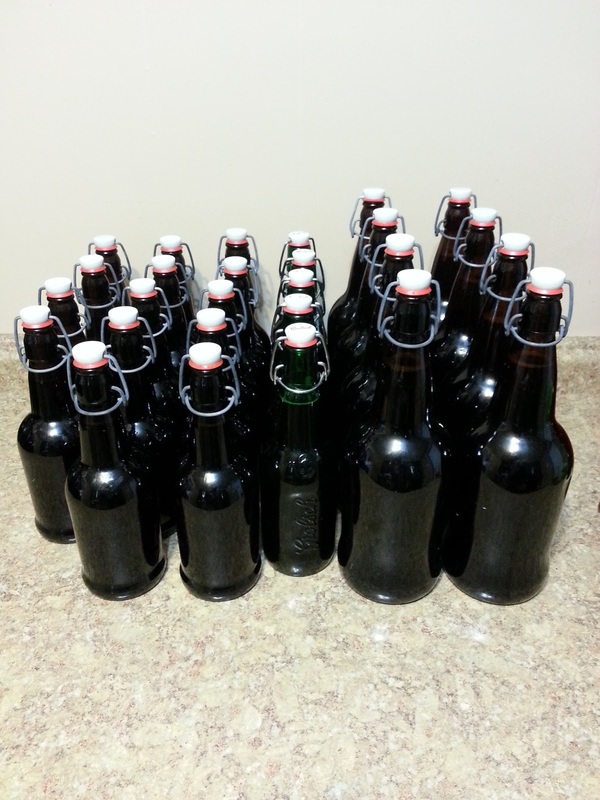 I'm not a big fan of Grolsch though so my first few batches were from purchased EZ-Cap bottles at about $100 per batch.